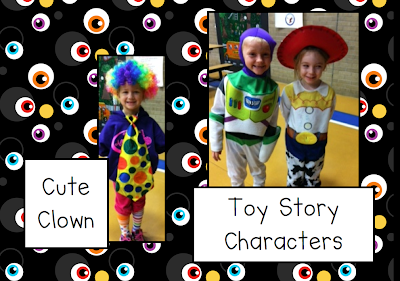 Our kindergarteners have a Halloween parade each year. This year, it went so smooth. Here are a few pictures from the kindergarten parade. Then, we returned to the classroom to work in small groups. I used Stephany Dillon's Halloween Pack. 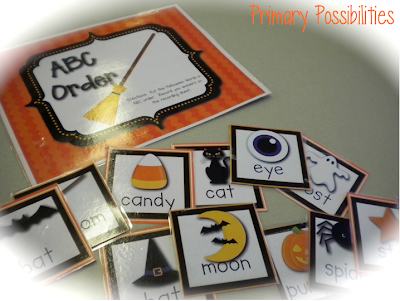 We completed the ABC order lesson together using the document camera. My kinders also created cut-up sentences. I love using cut-up sentences for one-to-one correspondence, spacing, and sentence structure. 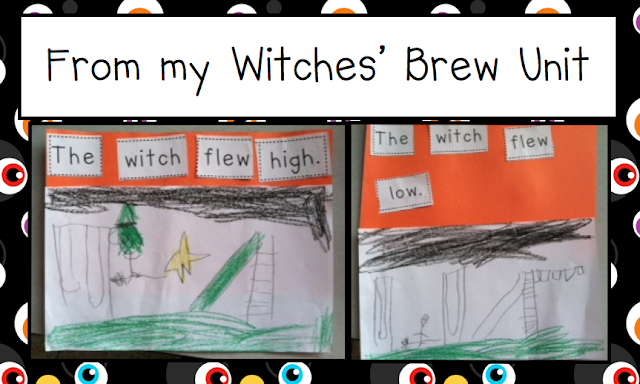 The following pictures are cut-up sentences and illustrations from my Witches' Brew Unit. Please look for upcoming pictures from Stephany's classroom. She has an amazing 50th day hallway display.